HCM CITY — Project management unit number 2 (PMU2) has urged the Ministry of Transport to approve a pre-feasibility study it has done for the HCM City – Mộc Bài Expressway. The 53.5km highway will run from Hóc Môn District in the city to a point on the National Road 22 two kilometres from the Mộc Bài border gate with Cambodia. It is planned to be built in two stages. The first stage from HCM City to Trảng Bàng will be a six-lane expressway with a width of 27m that will allow vehicles to travel at speeds of 120km. The second stage from Trảng Bàng to Mộc Bài will be a four-lane expressway with a width of 17m since traffic on this stretch is expected to be lighter. The first stage is expected to cost VNĐ10.5 trillion (US$457 million), including VNĐ5.75 trillion ($250 million) for construction and equipment and VNĐ2 trillion ($87 million) for land acquisition. National Road 22 is currently the only road connecting HCM City with the Mộc Bài border gate, which provides overland access to Southeast Asia, and the number of vehicles using it is increasing by 8 – 10 per cent a year. It is predicted it will become overloaded once the trans-Asia road linking Việt Nam, Cambodia and Thailand opens to traffic in a few years’ time. “It is time to invest in an expressway connecting HCM City with the Mộc Bài border gate,” Lê Thắng, deputy general director of PMU 2, told Đầu Tư (Việt Nam Investment Review) newspaper. 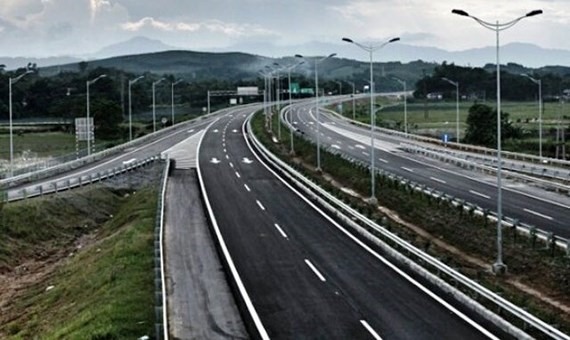 In August Prime Minister Nguyễn Xuân Phúc instructed the Ministry of Transport and Tây Ninh Province to make preparations for building the HCM City – Mộc Bài Expressway and submit the pre-feasibility study for it to the Government in the fourth quarter of this year. “The public-private partnership (PPP) model is the only way to mobilise capital for the project in the context of limited availability of Government funds,” Thắng said. However, due to the huge sums involved, the PMU2 has urged the ministry to use a mix of PPP, ODA and Government funding. In the event, VNĐ5.4 trillion ($235 million) will come from PPP, VNĐ5 trillion ($217 million) from the Government and VNĐ2.9 trillion ($126 million) from ODA. The expressway is expected to break even in 17 and a half years with the initial toll for vehicles being VNĐ1,500 (65 cents) per kilometre. The biggest risk the project could face is a delay in acquiring land since a huge 342 hectares would be required.